During my stay in Singapore, I decided to do a short solo ‘city trip’ to the lovely Malaysian UNESCO-ranked city of Malacca for the weekend. To go there, I booked a bus from a company called Delima. It costs 21 dollars (same price on the spot) and it leaves from the City Square, a kind of ghost shopping centre near Paya Lebr MRT station. I was alone in the bus with a nice French couple visiting Singapore and Malaysia too. Coming from a very small country, it was really funny meeting someone that knew so much about it without having ever actually even travelled to Europe… and all of this thanks to football! Arriving at Singaporean border: 50minutes. 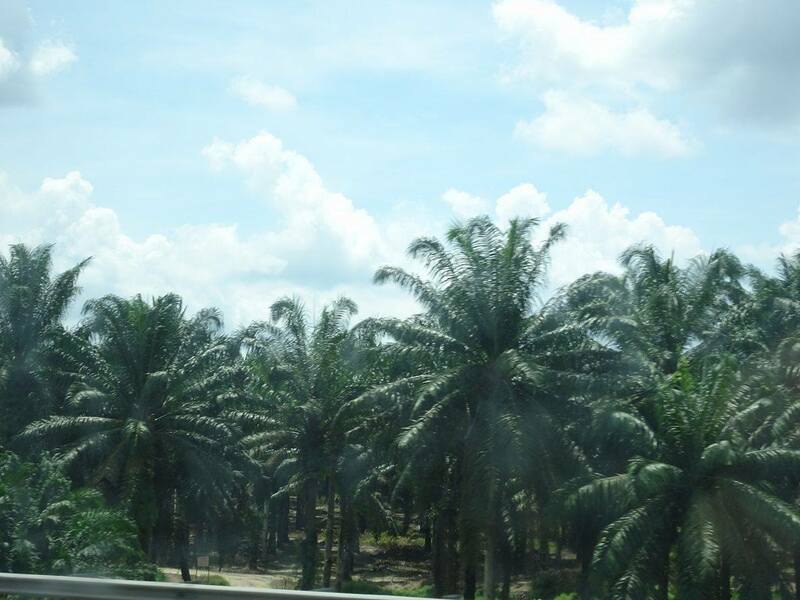 The view on the motorway… Only fields of palm trees. So much Nutella! You have a funny story while queuing at the customs? You met someone in love with your small country on the other side of the world? 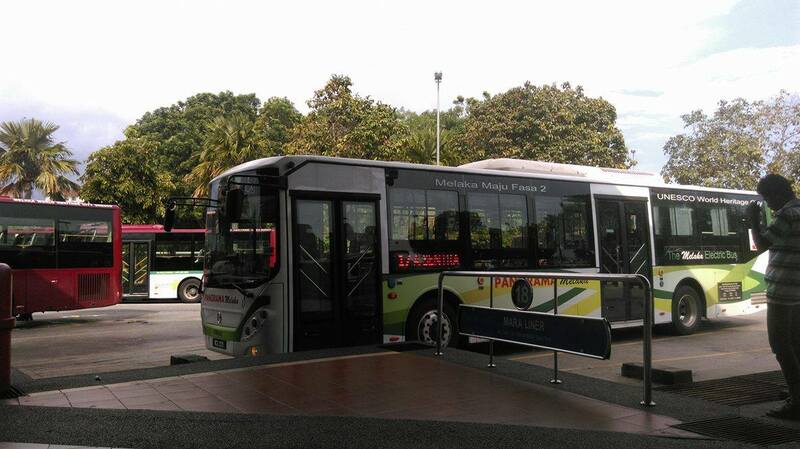 Or you traveled to Malacca from Singapore too? Let me know below! What did you think of Malacca? I loved my visit there last year. I was lucky to visit during the week when it was a little bit less busy. By the way what is an varan?? I looked it up on google and said it was a monster from Tokyo?!? Thanks for your comment! I really liked Malacca too and especially the atmosphere of the evening market. I also had my first foot massage there (I should be writing a post about Malacca soon!). However a week-end is enough, it’s quite small. Wow! That was easy and what a beautiful view you got! Way to go. It was actually a very funny experience for me living in Belgium seeing signs written in Dutch in Asia! I will soon draft a post with more details and pictures of Malacca but yes, indeed, the main square feels like Europe! Football unites the world I suppose hahah…. nice post. 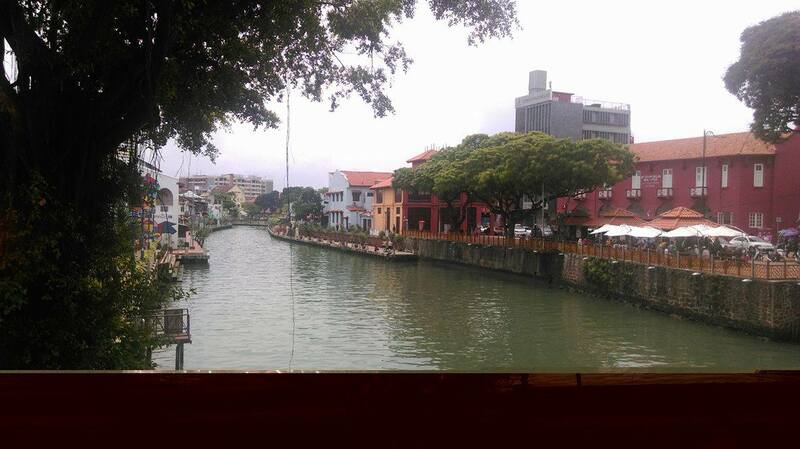 We have been to Melaka, but from the opposite direction i.e – we drove from KL to Melaka. I loved the Unesco heritage town, so much history. I love your conversation with the local. It’s sort of crazy to see how sports can really bring to world together! hahahaha… I’ve just realised something, having lived in Southeast Asia, USA, and Europe. Everyone seems to be fascinated by cultures that are on opposite ends of the world. Guess the grass is always greener on the other side! 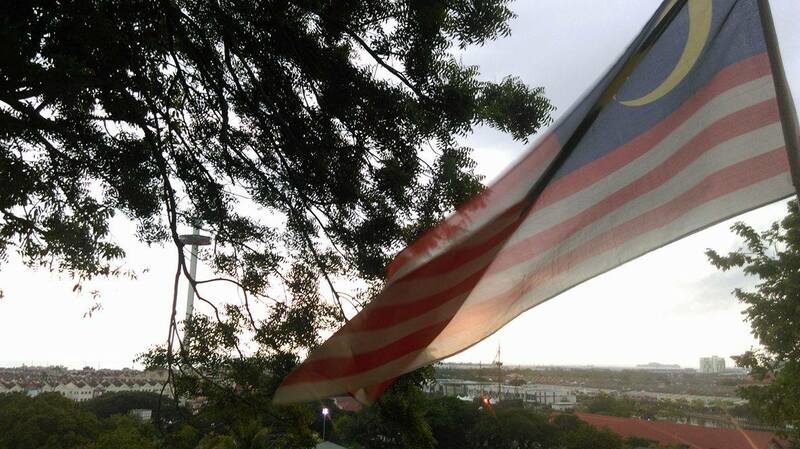 I visited Malacca with my closest friend a few years ago and the lines at the border weren’t that long! Wow! You must’ve caught rush hour. My favorite was the night market as well on Jonker street. So many choices for food!